Me n my Space ! 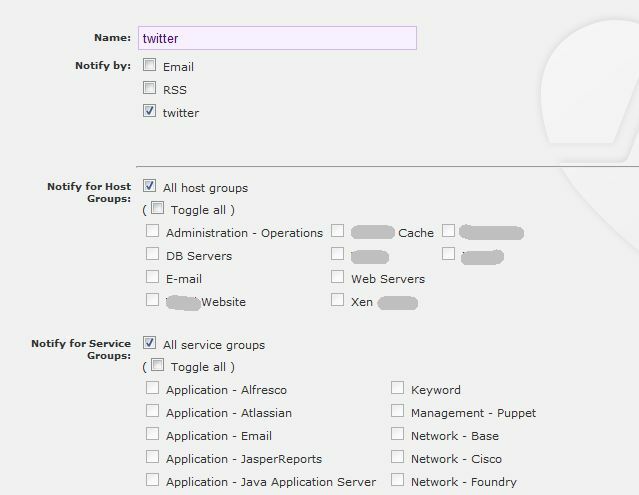 This article will help to post your host and service status messages from Opsview to your Twitter account. For configuring this you need to have access to the shell of your Opsview server. Note that I do not assume any responsibility if any of the steps below results in unexpected behavior of Opsview or your system. Comments and improvements are welcomed. The server should be able to access the internet. In a nutshell, Opsview is better Nagios. Nagios monitors your entire IT infrastructure to ensure systems, applications, services. In the event of a failure, Nagios can alert technical staff of the problem. Here we are using Twitter to notify us. I am not going to cover the steps for CentOS or Opsview installation, as they can be found here. To access Twitter from Opsview, I installed Tweepy. Tweepy is a Python library for accessing the Twitter API. It requires Python 2.5 or later, hence, I installed Python 2.6 as described in this blog. Next, I had to authenticate twitter from the command line. Jeff Miller has written an excellent blog about achieving this. I suggest you create a new Twitter account which will be used to post the notifications. 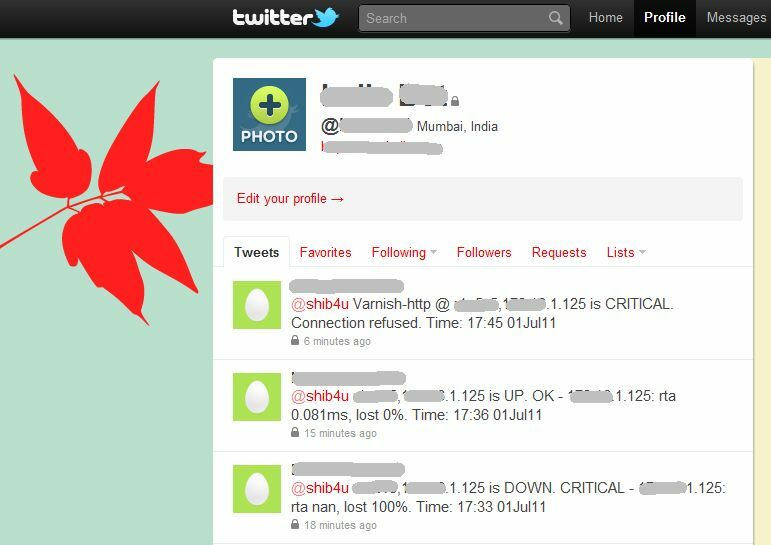 Do enable Tweet Privacy under Settings, in the Twitter account, so that posts are not made public. (You do not want others to know that your servers are erratic, do you !?!). 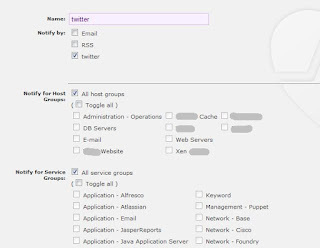 After creating the Twitter account, check out the blog and register a new client app with Twitter (as shown in step 2 there). Again, in step 4 "Create the command line script", change to python26. Do not forget to add your own keys. After step 5 "Send a test tweet from the command line" and if the test is successful, do the following. Log in to Opsview with an user with admin privileges. Go to Advanced then Notification Methods from the drop down menu. Next, in Opsview top bar, go to Configuration, then Contacts. 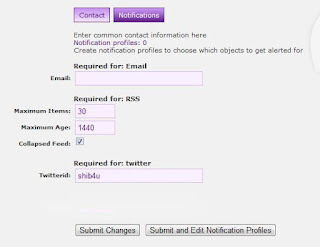 Click on the contact you want to set twitter alerts for. Click the Notifications button. Add you Twitter id (this id will receive the Tweets). 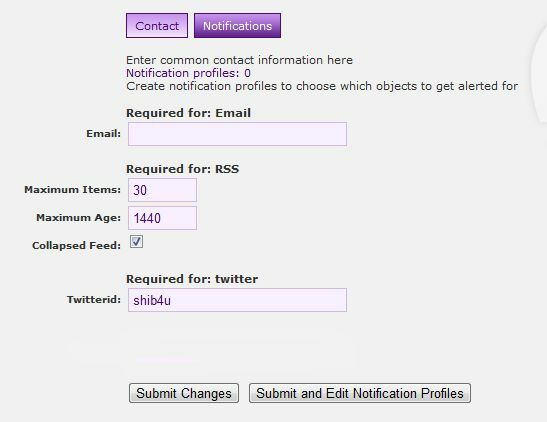 Click Actions, and Create new Notification Profile for user. Create the profile and submit changes. Reload your configuration (click on configuration status, top right, then Reload Configuration). Reboot one of your server or stop a service which is added in Opsview. Note that Twitter allows 250 direct messages per day, do not cross this limit as tweets won't come in after you exceed this number. The Tweets should start coming in. Original content. Do not copy. Watermark theme. Powered by Blogger.